This entry was posted in Uncategorized on June 30, 2017 by mjnrootdig. 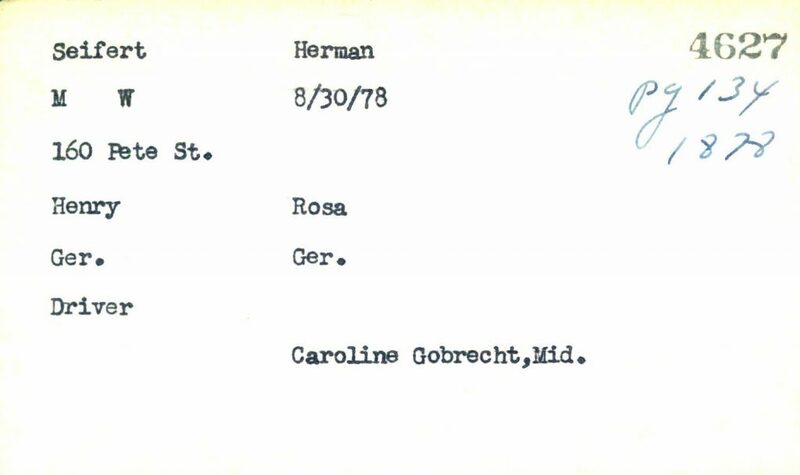 Morgue records (Hamilton County, Ohio), 1887-1930 are online at the University of Cincinnati. This entry was posted in Uncategorized on June 28, 2017 by mjnrootdig. 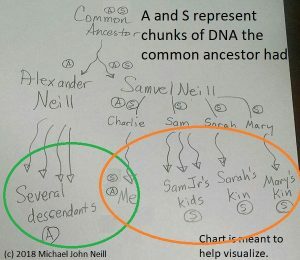 Not everything available digitally at FamilySearch appears in the “Historical Records Collection” on their website–often the catalog will indicate that the film has already been replaced by digital images. If you see something significant (other than just a handful of rolls of microfilm), let me know at michael.john.neill@gmail.com and I’ll mention it here. For example, many Baltimore County, Maryland, probate records are available digitally but one has to search the catalog to find them. They don’t appear in the link on the “Historical Records Collection” page. 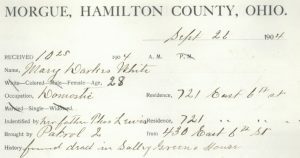 Cincinnati Birth and Death Records from 1865-1912 are online at the University of Cincinnati Archives. It is a collection of over 528,000 records. This entry was posted in Uncategorized on June 27, 2017 by mjnrootdig. This entry was posted in Uncategorized on June 26, 2017 by mjnrootdig. FamilySearch is ending it’s microfilm lending program to it’s branch libraries. On September 1, 2017, FamilySearch will discontinue its microfilm distribution services. This entry was posted in Uncategorized on June 25, 2017 by mjnrootdig. 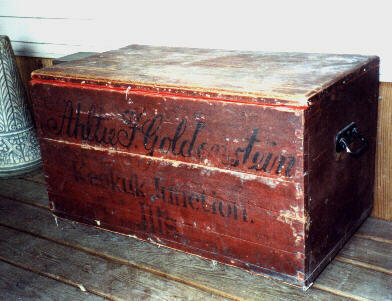 Altje Goldenstein used this immigrant trunk when she left Germany for Illinois in the 1870s. Additional details are on our announcement page. You can also visit their directory portal. This entry was posted in Uncategorized on June 24, 2017 by mjnrootdig. 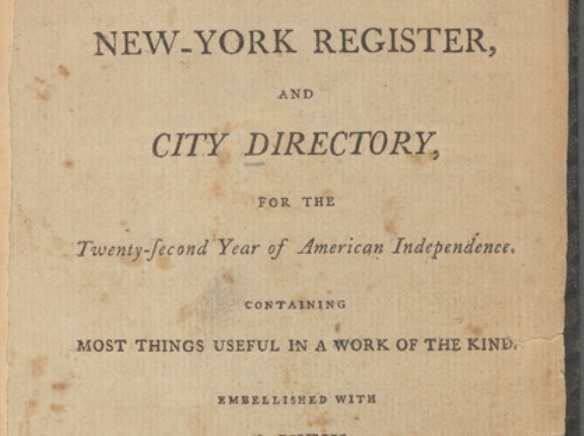 Directories on the site run from 1786 through 1923.